Delicious smooth succulent dark cherry fruits with subtle spice. Perfect with lamb and white meats. 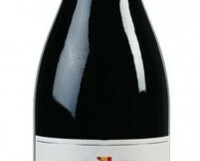 I was very pleasantly surprised when I tasted this wine one mid-week evening, even more so when I discovered the price. This really is a great bargain, a lovely elegant wine at a great price. It has a little oak, but as with the Rayos Uva below, it is the pure fruits that shine through.